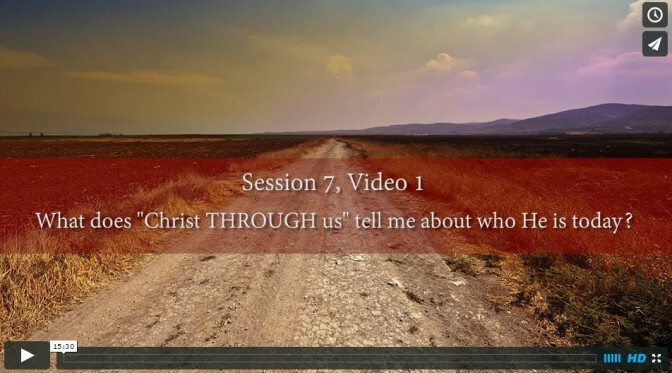 What does “Christ THROUGH us” tell me about who he is today? How does Christ extend his ministry through our ministry? Why is it vital for me see the whole Christ if I’m to share him? How do spiritual warfare and martyrdom reveal more of him? How does God want to release Christ’s ministry through me? Reflect In what ways did today's teaching video help you see and think about God's Son in newer or fresher or larger terms?